As a celebration of Romania’s National Day and the Romanian Centenary and a tribute to towering pianist Dinu Lipatti, one of 20th century greatest performers who was born 100 years ago, The Romanian Cultural Institute joins forces with the Royal Philharmonic Orchestra for a gala event hosted by London’s Cadogan Hall and featuring renowned conductor Cristian Mandeal and irresistible pianist Alexandra Dariescu. The event is prefaced by a pre-concert talk offered by writer and Lipatti enthusiast Orlando Murrin, who will discuss the great musician’s legacy as pianist and composer as well as his relations with Britain. With introductory remarks by Romanian Ambassador Dan Mihalache. 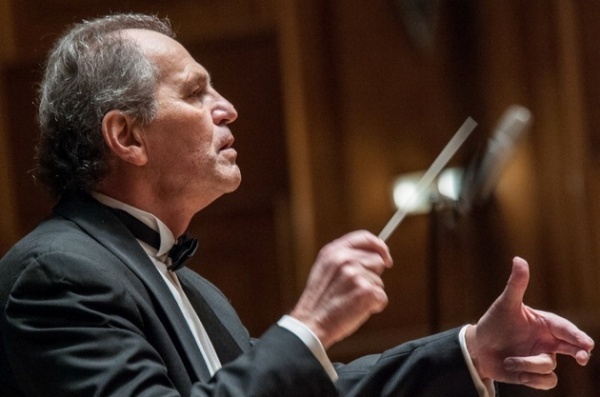 With a career spanning over forty years, Cristian Mandeal, a former student of Herbert von Karajan in Berlin and Sergiu Celibidache in Munich, is one of Romania’s most revered conductors. 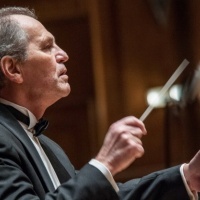 A graduate of the National University of Music in Bucharest, he was the general director of the “George Enescu” Philharmonic Orchestra in Bucharest for 22 years, until 2009. Mandeal has worked with many of the world's leading orchestras, including the London Symphony Orchestra, the London Philharmonic Orchestra, the Royal Philharmonic Orchestra, the BBC Symphony Orchestra, the City of Birmingham Symphony Orchestra, the Royal Liverpool Philharmonic Orchestra, the Bournemouth Symphony Orchestra, Staatskapelle Dresden, Staatskapelle Berlin, Münchener Philharmoniker, Symphonieorchester des Bayerischen Rundfunks, Wiener Staatsoper, Deutsche Oper Berlin, and the Orchestra dell’Accademia Nazionale di Santa Cecilia di Roma among others. He has given concerts in Europe, Asia, and North and Latin America and has participated in numerous musical festivals all over the globe. In 2001 and 2003, he served as artistic director of the prestigious “George Enescu” International Festival in Bucharest. Mandeal conducted the British premiere of Enescu’s Oedipe with the BBC Scottish Orchestra at the Edinburgh Festival in 2002. The conductor is the recipient of the Romanian Union of Composers’ Prize, the Ionel Perlea Prize, the Medal of the Romanian Academy, and the Prize for Excellence of the Romanian Musical Forum for promoting Enescu’s Oedipe. From the Royal Albert Hall in London to Concertgebouw in Amsterdam and Carnegie Hall in New York, the young Romanian pianist Alexandra Dariescu, named as one of thirty pianists under 30 destined for a spectacular career in the International Piano magazine, has dazzled audiences worldwide with her effortless musicality and captivating stage presence. A graduate of the Royal Northern College of Music and the Guildhall School of Music and Drama, she has been mentored by Imogen Cooper and András Schiff. She has performed with major orchestras, including the London Philharmonic Orchestra, the Tampere Philharmonic Orchestra, the Royal Philharmonic Orchestra, the Hallé Orchestra, the Stavanger Symphony Orchestra, the Royal Liverpool Philharmonic Orchestra, the Royal Scottish National Orchestra, and the Bournemouth Symphony Orchestra. She has recorded for Champs Hill Records, Signum Classics, and NMC Records. 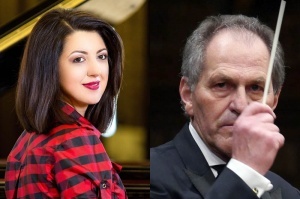 She is the youngest musician to receive the Custodian of the Romanian Crown Medal. 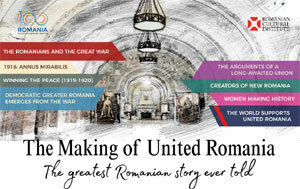 She was presented, this year, with the Radio Romania Cultural’s “In Memoriam Iosif Sava” Award. She was a Laureate at the Verbier Festival Academy and received the UK’s Women of the Future Award in the Arts and Culture Category. Dăriescu’s 2017/18 season also marks the premiere of her own production, The Nutcracker and I – a groundbreaking multimedia performance created for piano solo with dance and digital animation, which will take place at Barbican’s Milton Court in December. 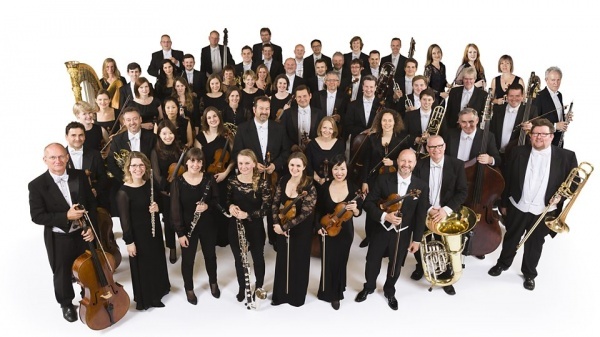 The Royal Philharmonic Orchestra (RPO) was founded in 1946 by Sir Thomas Beecham. 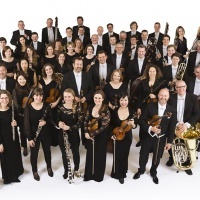 Deemed responsible for the revival of the UK’s orchestral life after the war, the RPO has achieved both a high standard and a sphere of influence, as it is now widely considered Britain’s national orchestra. The orchestra has its own radio station, The Sound of the Royal Philharmonic Orchestra, and actively participates in educational and community projects. When: Tuesday 28 November, 7.30pm. With a pre-concert talk by Orlando Murrin at 6.15pm in the main auditorium. Free entry.